This very rare Queen Anne gilt gesso dressing table, shown by Mackinnon Fine Furniture of London, has been voted Object of the Fair at the ‘BADA Antiques & Fine Art Fair’. The Queen Anne dressing table which won the Gold Award at the BADA fair. It was shown by dealers Mackinnon Fine Furniture. 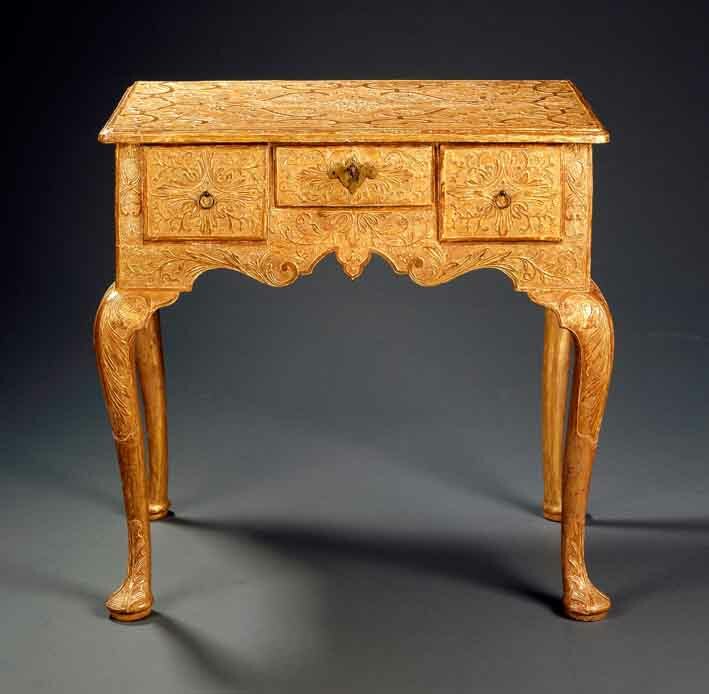 The dressing table, or lowboy, believed to be the only example of its kind, was described by the judges as: "an object of spectacular fragility and rarity". Mackinnon Fine Furniture won the Gold Award, while the Silver Award went to Strachan Fine Art of London for a 15th century Nottingham alabaster of Christ in Gloryand the Last Judgement, one of only two of its type recorded. Edward Hurst from near Salisbury won Bronze for a George III military commemorative ebonised musical bracket clock by Turnbull & Aitchison of Edinburgh. Clocks dealer Anthony Woodburn of Lewes, East Sussex won Best Stand. The judges described it as "an elegant, dramatic display that plays up to the strengths of his objects". Edward Hurst won Silver, while Bronze went to Farnham Antique Carpets of Surrey.